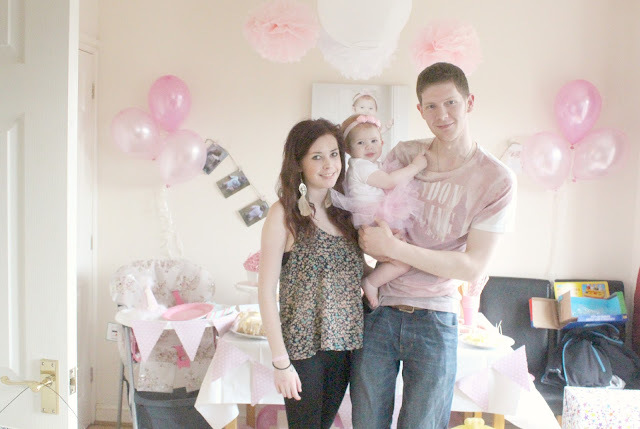 I had been planning in my head for months what I wanted to do for Amelia's first birthday. 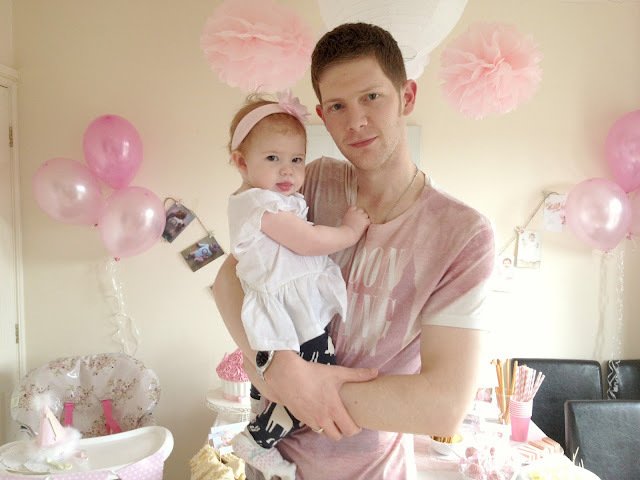 I know she won't ever remember her first birthday but I want to be able to and have photo's to look back on in years to come. I started buying bits and pieces just after Christmas and storing them in the nursery until her big day. I wanted to make a lot of the decor myself, even though I'm not very arty or creative I do like picturing how I'd like things to be in my head. I didn't really have a theme in mind as such, I kind of just went with the flow. I knew I wanted pink, white and peach to keep it pretty and girly. I had thought of a vintage/shabby chic theme but couldn't really decide on what to buy so I have incorporated some of that into the theme. So I guess if you like if I had to decide on a theme for her birthday party it would be Vintage Princess. I set up a little dessert table in the kitchen as this is lighter than our living room and had more space. It actually worked really well and I loved the overall outcome. I had two cakes made for Amelia's birthday one large sponge cake with rosette icing. for the guests and a giant cupcake for Amelia. I didn't do any fancy food, most of it was sausage rolls, sandwiches, cocktail sausages, pork pies, onion rings and some other party food. Aww everything looks beautiful! The cakes look so pretty and yummy. Great job with all the decor and Happy Birthday to your little princess! Looks lovely. I'm starting to plan my son's first birthday now. It's in Sept!! Lovely. I love the pretty set up and decorations. Thank you, ha next year it will be trip to the zoo and out for a meal lol! 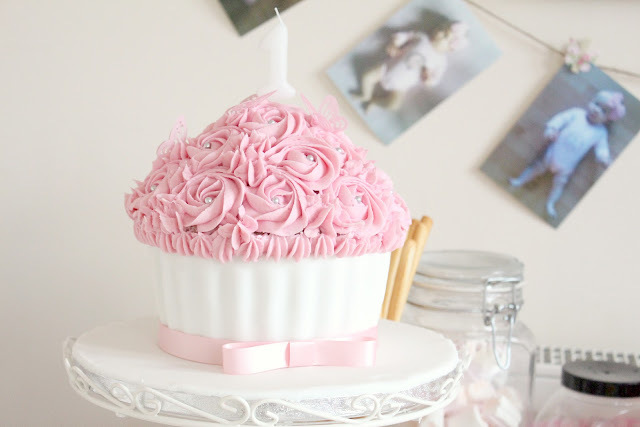 That cupcake cake is just the BEST THING EVER!!! These are gorgeous pictures. Looks like a great time of celebration. Wow all that food looks good! wow, it looks like a dream! Amazingly beautiful. I've never seen a birthday party with such beautiful decorations and food! So pretty and girly ! That is so cute! 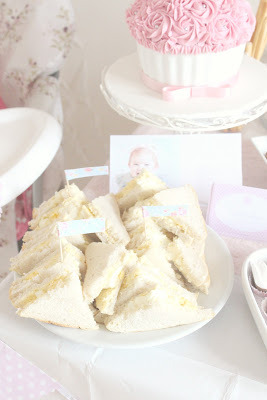 I want a vintage princess party! Everything looks beautiful! 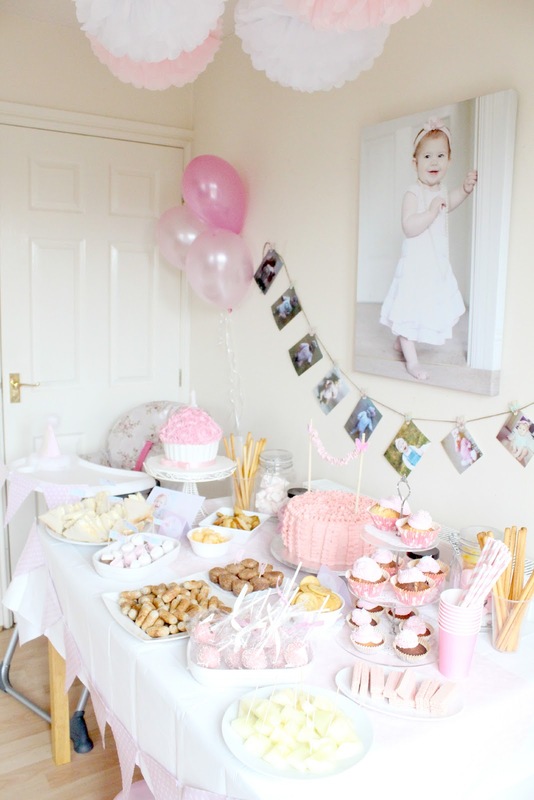 What a darling little girl - she looks like a princess and the decorations and food are just perfect for her. Great job! Oh my goodness, everything is just too cute! Everything looks so pretty!!! 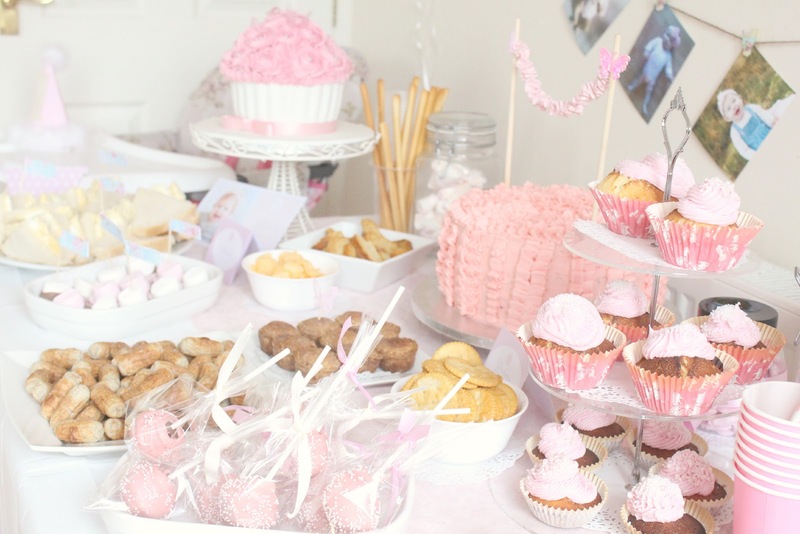 The desserts look delicious and the table set-up looks perfect. You did very lovely job!! This is pretty darned sweet! Great job. ahhh.. how amazing! and i must say how creative and arty you are.. its well beyond my means to come up with such beautiful ideas.. wonderful! and your amelia is gorgeous! That looks so pretty. I love those cakes. Wow! You did such a great job! What a little princess! 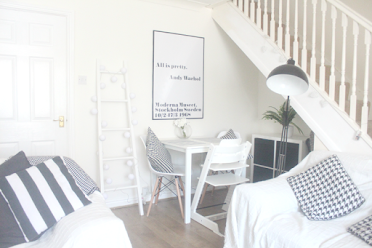 I love how bright and airy it is! 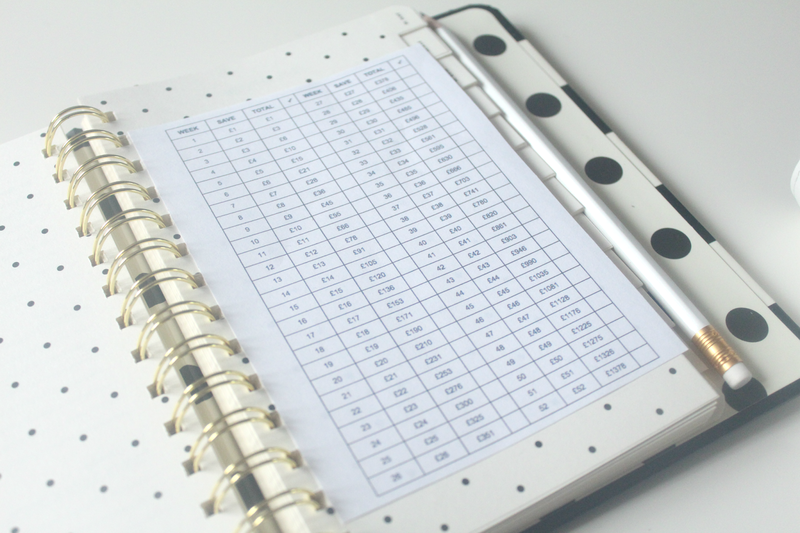 So beautiful and inspiring for my own little one's future birthdays! Wow! Those are gorgeous decorations, and the food looks amazing! 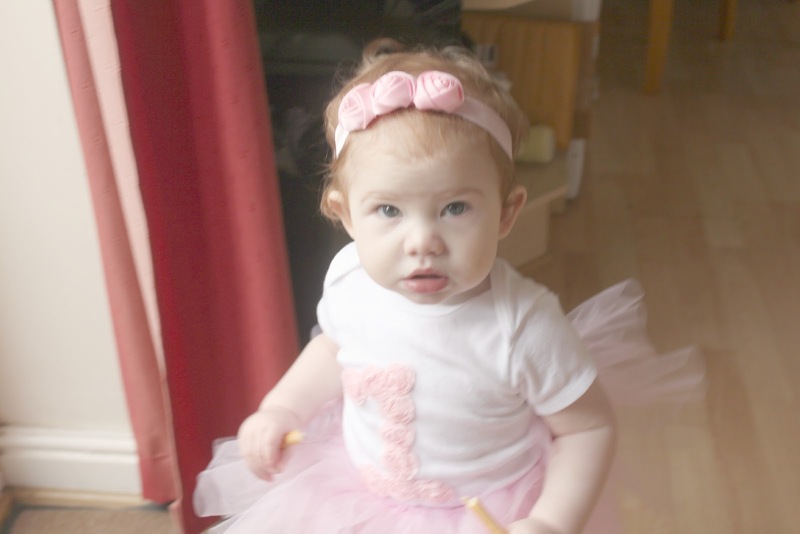 Cannot wait until I have a precious girl of my own, too cute! I LOVE the huge photo! Such pretty decorations. Oh my goodness! Soooo much pink! I love it! wow it all looks amazing! Beautifully set up. The cakes looked amazing. Happy Birthday Amelia! Wow what a beautiful themed party! My grandaughter Chloe would have loved a party like this! Wow - that's amazing. Love it all and your pictures are stunning! Wow! This looks like an amazing first birthday party! 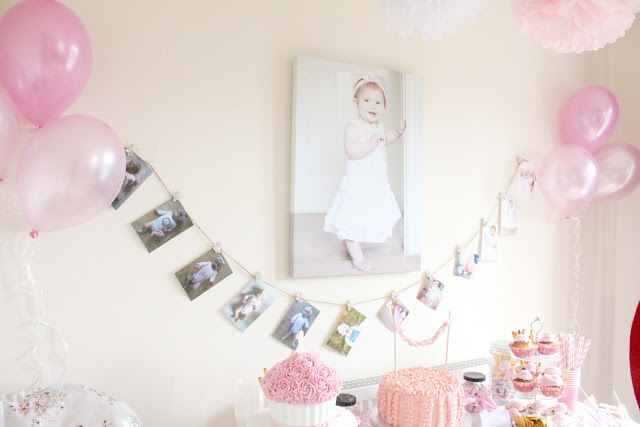 What a beautifully decorated party! Happy birthday to Amelia! I love the string of pictures of each month of her life. And all the pink is adorable!! 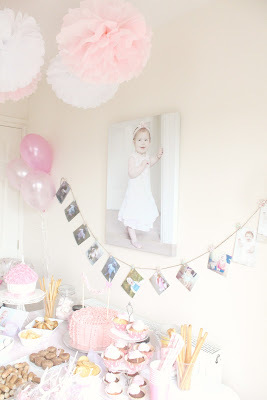 I love the photo bunting - such a great idea! It's so cute, i love the colour, i have to be honest and say i do think it's a little over the top, i guess it's probably because i don't have kids and until i do i won't be able to understand i guess. Although when i was young a birthday was more party hats and cake. I hope she enjoyed it though and you don't take my comment in the wrong way. She's the cutest thing ever! I love the photos showing her growing process.. it would be amazing if you do that every year! The part decorations are very cute. Oh cute! Red head like dad! This is beautiful! I almost wish I had a girl!!! 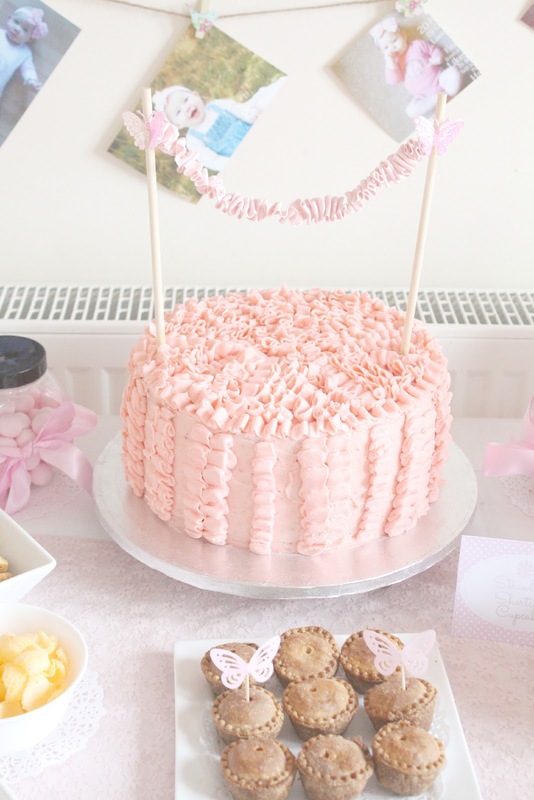 How cute!It reminds me of one of my first birthdays! Lovely party! What a beautiful arrangement. Lovely. 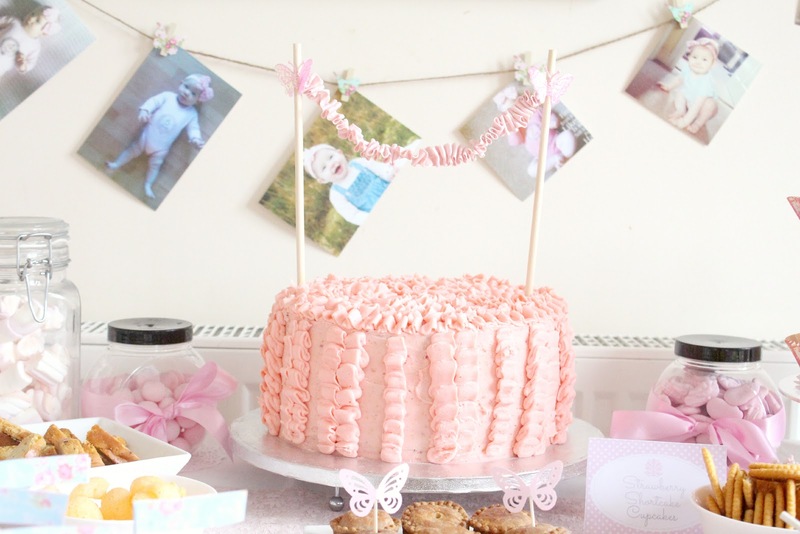 If the next baby is a girl, we'll celebrate her first birthday just like this. This looks beautiful and she is so precious!!! I really love this. NOW THAT'S A PARTY BABY! Love the great ideas! What a great party! This is so cute! I love that cupcake cake--gorgeous! 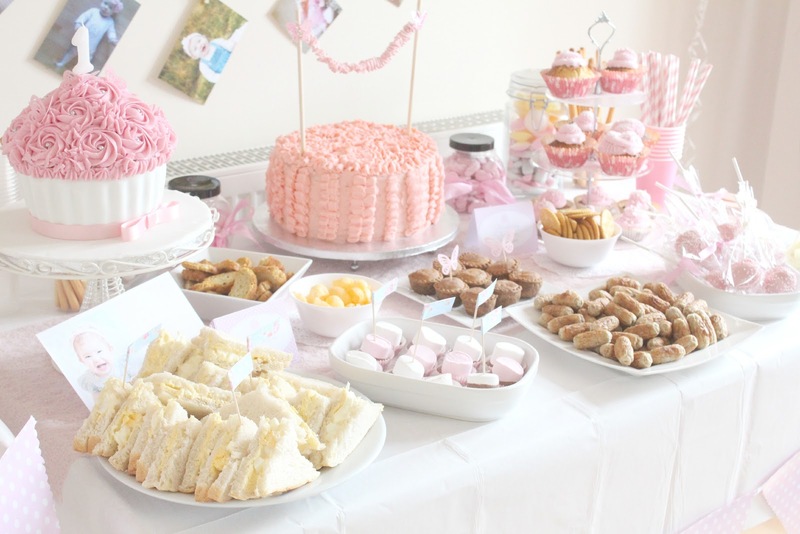 I am starting to plan my daughters birthday party and this gave me alot of ideas. Great party idea, beautiful. She's such a pretty little girl! Omg these need to be pinned all over Pinterest asap. The prettiest little party! So cute!!! How beautiful, what a great job. That cake is to die for! This is PERFECT for a baby shower I am planning that's coming up as well! Super cute, and I love that she gets her own cake. The egg and cress sandwiches are adorable. Most baby things are too harsh or bold in color. I like how soft and pink the theme was. I hope your daughter enjoyed it! WOW. that is SO gorgeous, you did an amazing job! Wow. It looks great. I don't do big festive parties, but it is cool that you did one for your daughter. You did a wonderful job! 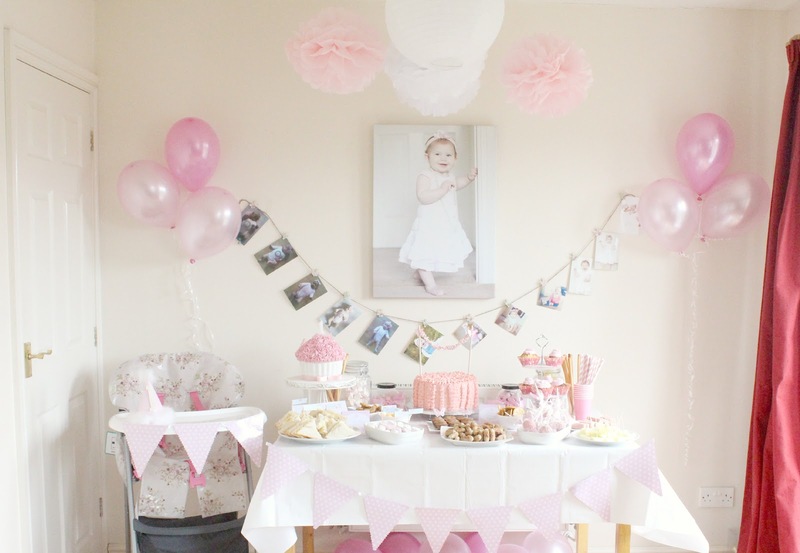 It's perfect for a little princess' first b-day. OMG! This is a great idea. I wish I were that creative. The cakes are so perfect! Oh my! This is just so stinkin' adorable! You did an awesome job making everything perfect! Everything looks just too lovely! I love your party set up! It is so pretty and sweet! The cakes are beautiful! 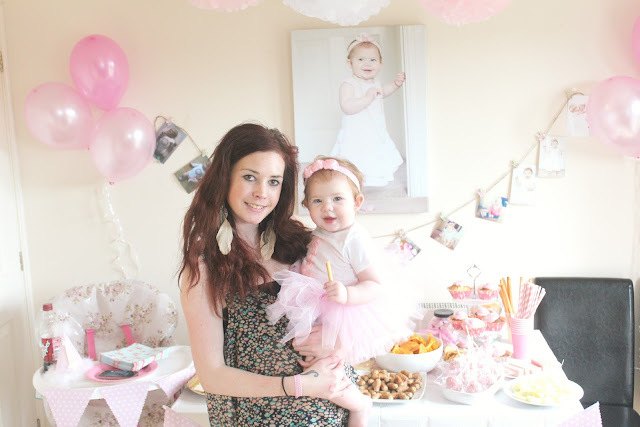 so adorable :) i wish i have this kind of celebration for my daughter's first bday too! Wow, what a great decor! I got some great ideas for my daughters birthday! So cute! 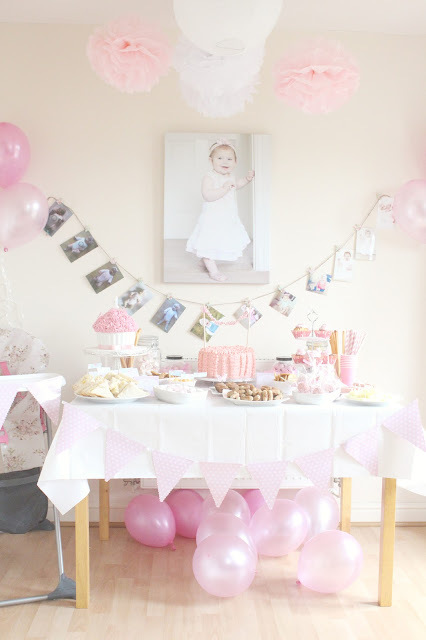 I'm not a baby anymore but I wouldn't mind have such a lovely birthday party! wow! Love the soft pink theme! so gorgeous, and what a cute girlie too. i just love this! so classy and cute. i pinned like all the pictures! I love it! 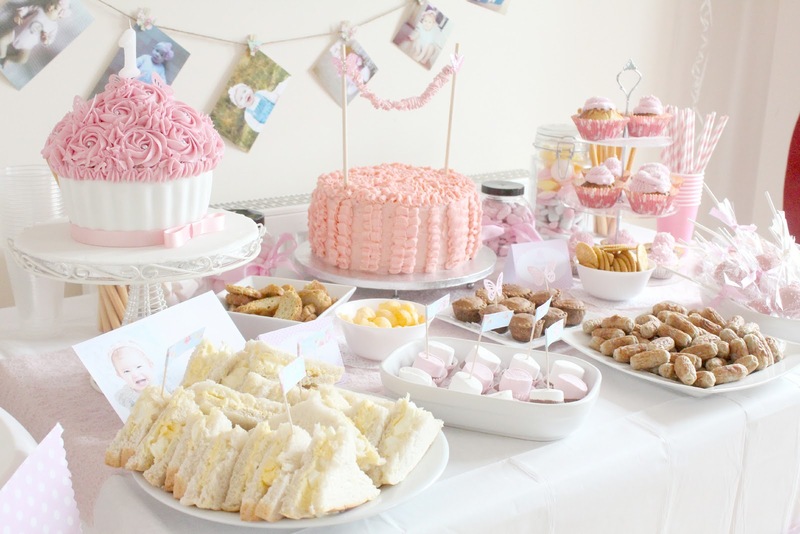 Everything looks so pretty and yummy! Great photos! Awww, everything looks so beautiful! Everything looks so well arranged and elegant. I like the colors you selected and that even the food is integrated into the color scheme. That cake must have taken ages! Blimey! Bet that took some time, look like it paid of though it looks great! 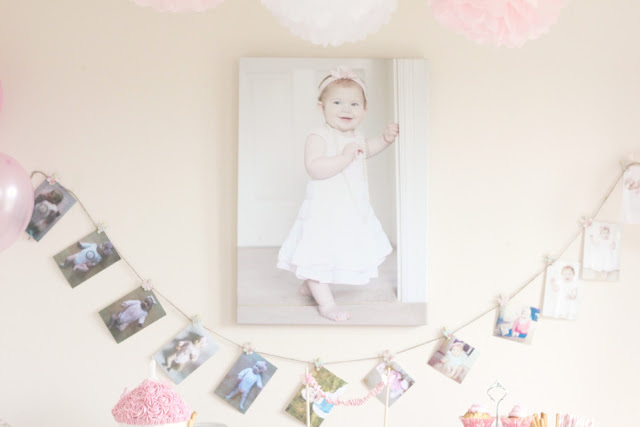 That is so pretty and simple, perfect for a little girl. Wow!!! I love the cakes! Very cute! 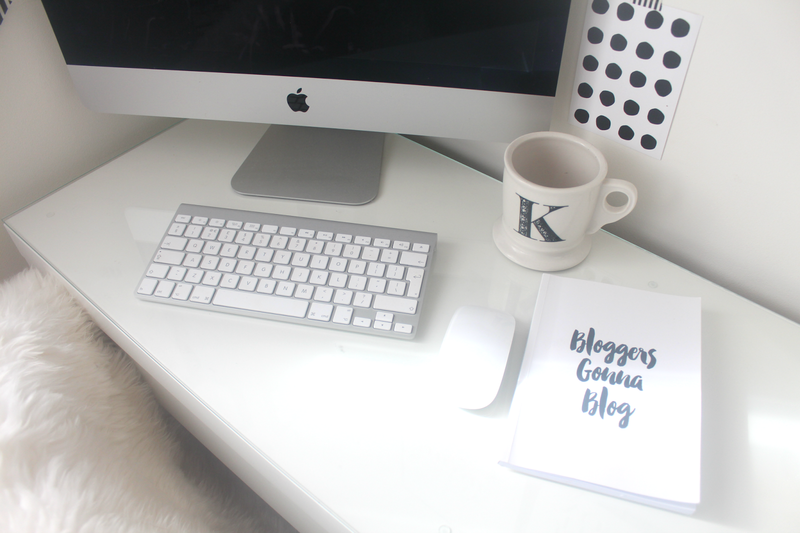 I love the color scheme and the monthly photo montage. really really gorgeous. i adore the color scheme and the food looks yummy! OMG this is PERFECTION! :) EVERYTHING LOOK SO LOVELY!!! And the cakes??? SO pretty!!! What a fabulous party I want it myself!!! I really think it's about time we started de-pinkifying girl's things. Most of their toys and clothes look revolting, ADD SOME MORE COLOUR PEOPLE. Just cos they're girls doesn't mean every single thing has to be pink. Wow, the cake is so pretty that I don't think I could bring myself to eat it! WoW! So gorgeous! I don't know what I like best as it's all so perfect. What a sweetie. 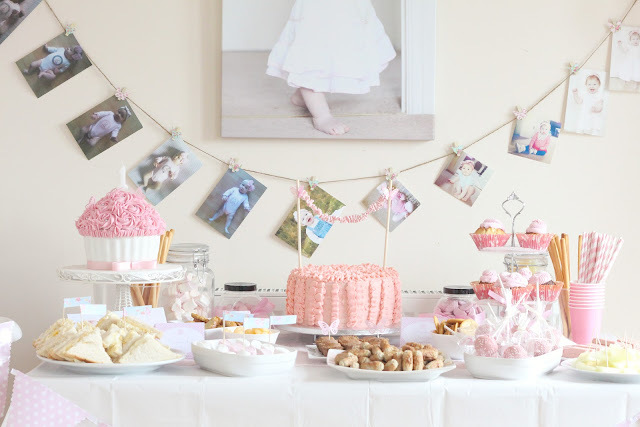 Kids' birthday parties are such a fun thing to plan, but not quite as much fun as the event itself! This really looks stunning & like you have had a party planner in, the cake pops are so cute and I love the picture bunting, you take stunning photos, are you a photographer? That looks amazing! I bet she had a super day! After getting engaged and looking at countless venues in the city, we stumbled upon the website for this place. And these guys really worked endlessly to ensure my happiness. Once you get through initial "I know what's best" attitude of the manager here, you will agree that - he DOES know what's best, and he does not treat you like just some paycheck. nice party all picture are very good. 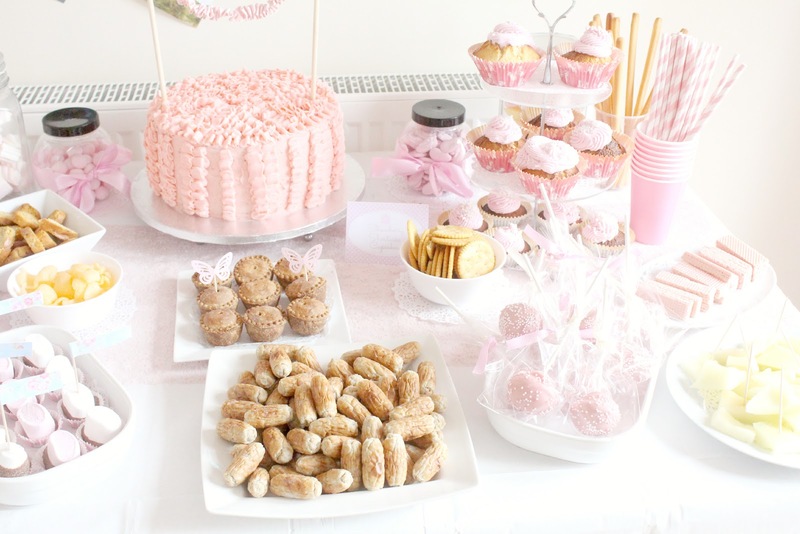 wow that set up looks absolutely stunning I love pink the food looks amazing too, 1st Birtday's are always very special and your memory's are going to last forever. I love the pink themed food and everything! This looks amazing, a beautiful day and a happy little girl!